Theme: "Decent work and Entrepreneurship for Social and Labour Inclusion in Africa"
The 1st Africa Policy Dialogue (AfPD) organised by GSEF is held, based on the main theme, "Decent work and Entrepreneurship for Social and Labour Inclusion in Africa". Africa Policy Dialogue (AfPD) invites African Local Governments and Civil Society organisations to share and connect ideas from each part. AfPD session will take place on 2nd October (Tue) in Bilbao. 13 speakers including Mr. Jean Pierre Elong Mbassi (UCLG Africa), Mr. Ronald Balimwezo (Mayor of the Nakawa Division) and Mr. Fabrice Adelphe BALOU (Pojet) will deliver their stories. It is expected that AfPD will be the first step to build a solid African network on SSE. The primary purpose of the AfPD is to identify the ways of going forward to develop inter-regional partnership and cooperation based on international, innovative and supportive approach. In the African region, Social Economy plays essential roles, and AfPD will provide participants with a meaningful chance to understand the unique circumstances of each country and share information. About 80% to 95% of the population in Africa is employed in the informal economy, and the population has sought out innovative solutions to their daily social and economic challenges. Ultimately, the African social economy has an important role to play in poverty eradication and should be recognised as an ally for inclusive development by the African authorities and the EU. AfPD covered various situations and challenges across Africa, and you can grasp crucial issues directly from African SSE actors. 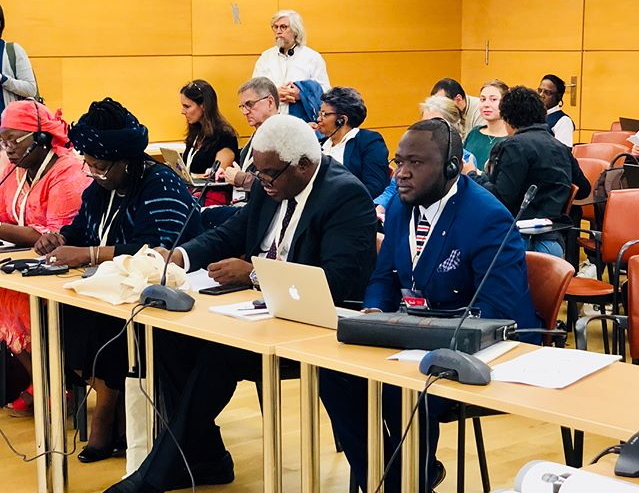 We hope that AfPD will be a channel for GSEF to connect with African members and other actors that are advocating for social economy in the region.